Who are Jim and Dave? We have launched a podcast, because there are not enough podcasts about football in the world. Each week we pick our players of the weekend, hand out fines to those who have ticked us off, discover what we learned from the world of football and enter Football Book Club. We do semi-regular live comedy football shows! We've done four since August 2016, where we kicked off with two nights at the Camden Fringe. 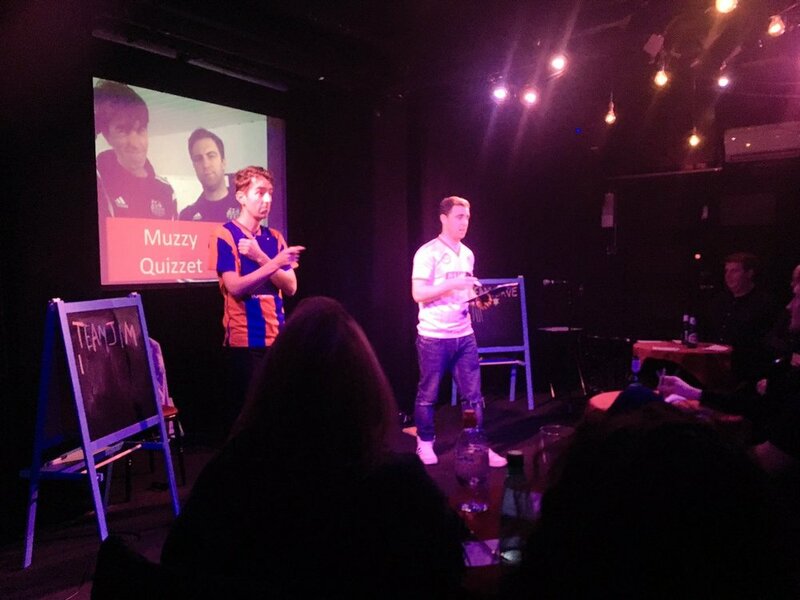 The show is an hour of football fun bringing friendly football comedy to the stage, joined by some special guests. Expect more sketches, more songs and more chances for the audience to shout out random 90’s footballers. 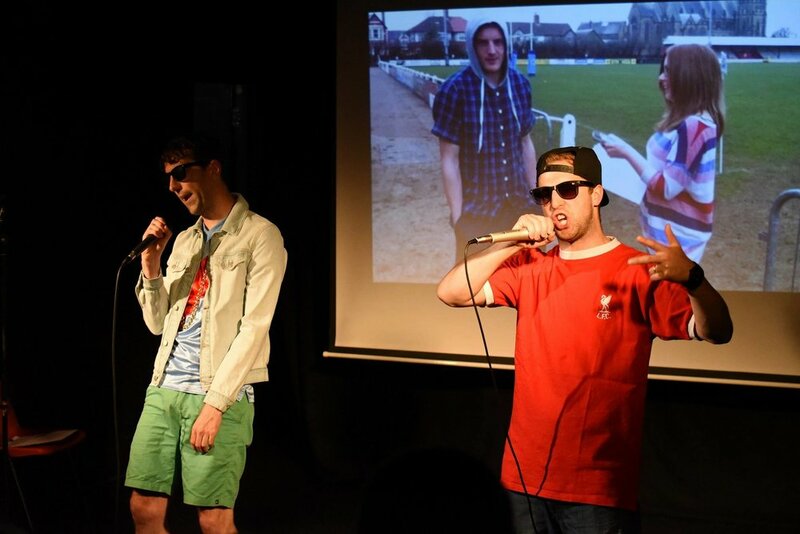 We have performed three live versions of Jim And Dave Have Lost The Dressing Room previously; twice in August at the Hen & Chickens Theatre in Islington as part of the Camden Fringe and once in November at the Leicester Square Theatre. Keep an eye out here and on our social media pages for news of future shows. Dave has appeared in Channel 4's 'Eye Spy' alongside Stephen Fry, 'Derren Brown: The Push' and is the face of Betfair's football betting ads. He is one third of sketch act 'Lead Pencil', as seen on Comedy Central, BBC Radio 4, Best New Sketch Act Final and two sell-out runs at The Underbelly, Edinburgh. Dave is also a regular on the stand-up circuit and was awarded 'Best Male Act' at the SOLO Festival for his one-man show 'Stories from the Spectrum'. Viral sensation Jim Daly has amassed more than 2.6million views on YouTube thanks to his comedy football songs. He has also written for sketch show News Revue and was resident comedy song writer and performer at the award winning Football Special show. He is the host of the Five Year Plan podcast and has appeared as a football pundit on London Live, TalkSPORT, LBC Radio, The Sun's Goals Podcast and more. He regularly performs standup around the UK and was a Golden Jester semi-finalist in 2013 and 2014.